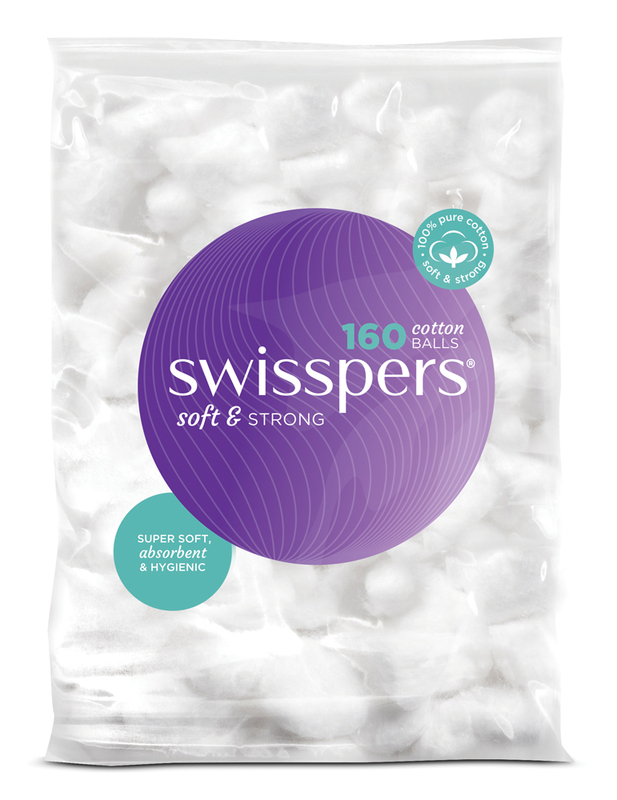 Swisspers Cotton Wool Balls are extra soft and absorbent cotton wool balls. Made from 100 per cent premium cotton they are very soft and absorbent, and perfect for applying facial toner, removing nail polish, gently applying makeup and general cleansing. They are also available in an extra large cotton wool ball, the Luxury Balls. Much The Same As Other Brands"
I've always preferred cotton balls to makeup pads, but since I bought my machine washable makeup pads, I've been using those. I still use cotton balls occasionally for makeup removal or using toner. Mostly, I use cotton balls nowadays for nail polish removal. I can't use my reusable makeup pads for that. As far as quality goes, no matter which brand I buy, they're all pretty much the same. They all seem to be as fluffy & absorbent as the next. Swisspers has different manufacturers worldwide. After I bought these cotton balls, I noticed they were made in China, so I won't buy them again. Their cotton tips are made in Thailand & their organic makeup pads are made in the Netherlands. You've got to check each Swisspers product individually for the country of manufacture. Coles & Woolies generic brand cotton balls are both made in India. I'll be purchasing those in future. I have learnt from hard experience that cheap cotton wool balls simply do not work. The cheaper brands generally seem to deliver super small, wisps of cotton wool that barely form a ball. And then they shed all over you and you spend the rest of the day trying to get those irritating bits out of your eye. But Swisspers are definitely not like that. As cotton wool balls go they are amongst the best- soft and luxorious to the touch, no hint of unravelling and perfect for removing eye makeup without leaving any irritating strands behind. I use these almost everyday on my eyes and find they work equally well with either eye makeup remover or micellar water. The Dilettante family have also reached for them to remove nail polish, as well as for dabbing on ointment or antiseptic, and even for making snowmen and Easter Bunny tails! Perfect. Swisspers cotton wool balls are a staple in my bathroom as they are the ultimate multipurpose beauty product. I use them to remove my nail polish, to clean up cuts or wounds and to remove my make up (if I don't have any pads available for this). The main reason I purchase these is to remove residue after I wax, this particular brand of cotton wool is great for removing wax residue (with some baby oil) as it so absorbent and the cotton wool doesn't disintegrate or leave behind that horrible residue that some of the cheaper brands do. I have tried some cheaper brands but I find that swisspers are one of the best, they absorb the product well and they last. A multipurpose product that I always keep stocked up. These are great for so many things. Every body in the world should have at least one bag of these in their house. These can be used for so many different things. I mostly use them for removing nailpolish but they can be used for so many other things for example first aid or cleaning. I remember even using them in school to grow plants! These products are seriously all rounders! These can be used for anything. No tips or tricks needed. Only tip is that everyone should have some! My main use is removing nailpolish. Also ideal for use in first aid and cleaning! These soft and fluffy cotton balls are reliable and it's my must have for first-aid kits. They are super absorbent. However, I do not use them for makeup removal as they do leave messy fibres behind when the cotton balls are semi-wet. Very reasonably priced. These are so easy to use and have many uses! I use them when applying any oils, and saves me the mess of cleaning everything up etc. They're so soft and relatively cheap. Don't fall apart, soft as a bunny. These always feel so luxurious when I use them to apply or remove anything from my face. I can completely soak them in anything and they never fall apart and are so soft. These are so cheap and so multi purpose they have become an absolute staple in my life. I use them to remove eye makeup, somehow I find them a lot more gentle and softer than the round pads for this area. I will absolutely keep repurchasing! I use these mostly for make up removal but also for nail polish removal. They keep together and don't fall apart. These guys have such a great absorption and hold a lot of product so messy spills are a thing of the past. they are song and comfortable to use on the body. multi purpose and great amour of product in the bag. the price isn't too bad either. I have brought these for years along with the cotton tips and makeup pads. They are so soft and great for many uses including removing nail polish, makeup remover, cleansing etc. I only use these cotton balls when I am removing my nail polish off my nails. They are very soft and they don't fall apart and I use also them when traveling to prevent my make-up from breaking. I will re-purchase this product again when I run out of them. I use these all the time for removing nail polish and for absorbing toner to use on my face. They are soft and stay together without any pieces of the cotton fluff getting everywhere. These are the only cotton balls I will buy...I find them affordable and great quality...they are soft and fluffy and just the right size, they also don't fall apart as I use them. I use these constantly for nail polish removal and facial toning. I use this for removing nail polish, makeup, and even for cleaning fine jewellery. Its a multi-purpose use and I love it. Its a brand that I can trust. Their cotton balls has very fine but tight fibres that is easy to use and can get into places that we normally can't. Great use! These cotton wool balls are affordable and you can conveniently buy them in a large bag. I usually buy a few bags as I tend to use at least 4 balls a day. I use them for eye makeup removal and nail polish removal. They are soft on the skin and don't break apart or leave cotton wool fibres on my eyes. They also absorb a lot of product without falling apart. A great easy to use product. I recently purchased these Swisspers Cotton Wool Balls as the cheaper home brand was out of stock. I must say that I can definitely notice a difference in the quality of these compared to the cheaper alternatives but perhaps the Swisspers are not as best suited for removing nail polish. These cotton balls are larger and softer and I have to unravel it and tear them into smaller balls so that they are easier to use for removing polish. An alternative use I have found for these is to again tear them into smaller pieces to apply my toner. Overall I love the soft quality of these cotton balls, but I also feel that the larger size doesn't suit my main purpose. Also with them being about 2-3 times more expensive compared to the cheaper home brands, I don't think I'll repurchase these. These are my go-to for removing nailpolish in conjunction with acetone. They don't come apart like other brand so you don't get bits of cotton ball fluff stuck to your nails.  beautyheaven's edit of the best beauty offers, promotions and competitions of the week.